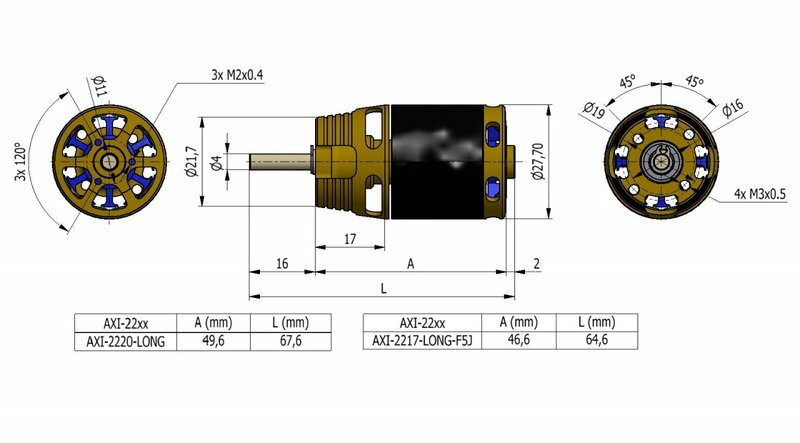 The high quality and performance of AXI 2220 V2 motors meant that they are a perfect base for development of the new AXI 2220/20 GOLD LINE. 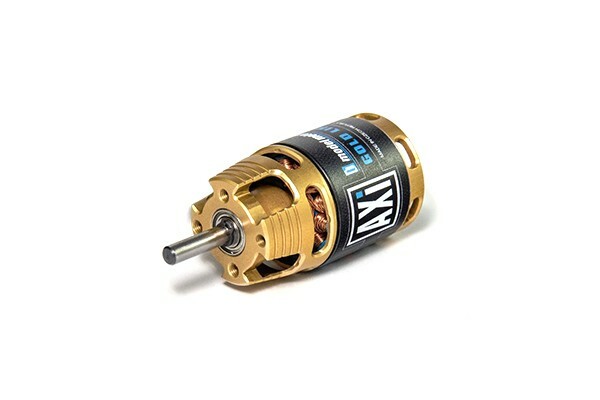 New, small and powerful motor AXI 2220/20 GOLD LINE V2 with rotating case is suitable for aerobatic models up to 900g and for light sailplanes up to 1200g. Hardened steel Shaft have 4mm diameter and is supported by two large ball bearings wich ensure very good mechanical stability.